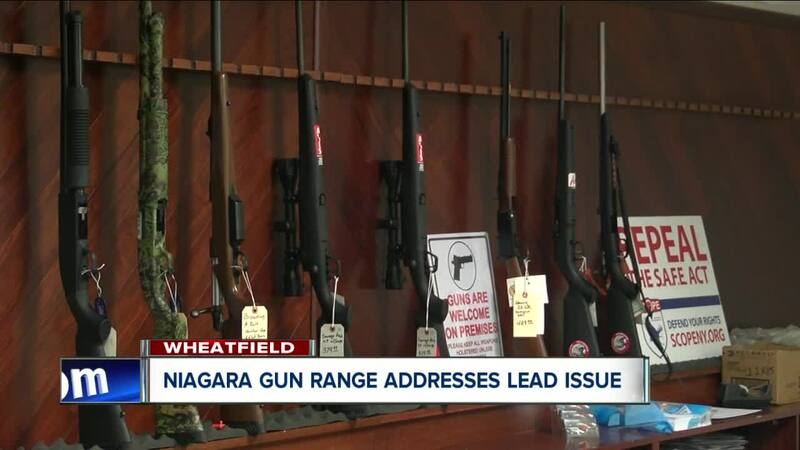 NORTH TONAWANDA, N.Y. — The Niagara Gun Range said that there was lead contamination in one of its shooting ranges. This comes after the Buffalo Customs and Border Patrol found two of its officers with lead in their blood higher than the agency's standard. The Niagara Gun Range is one of the training facilities for the agency. "Two of those employees tested right near our threshold, so what we did was remove them from that training environment until their levels went down," Aaron Bowker, the chief officer for the Buffalo Customs and Border Patrol, said. The culprit, the gun range general manager, Jeffrey Brodsky said, was a faulty ventilation system. After a routine blood test of the agents and an annual sweep of the facility in November/December, the Customs and Border Patrol found lead contamination in its agents and the gun range. That is why the agency ordered a second sweep of the facility, which produced the more thorough February report. While the agency standards are more strict than federal guidelines, the CBP said that it places its officer safety above all else. "That CBP standard, it is far below the OSHA regulations, and the reason for that is to protect their health and safety," Aaron Bowker, the chief Buffalo Customs and Border Patrol Officer, said. These findings coincided with the renewal period of the CBP's contract with the Niagara Gun Range. The CBP decided not to renew its contract. "Right now at this point we are exploring all options for qualifications moving forward," Bowker said. Of the two officers, one is back under CBP standards and the other is just at the threshold for over exposure. Brodsky, the general manager, said the lead was cleaned quickly after the company was made aware of the issue. It also had a separate company test the facility after the cleaning. The contaminated area was not open to the public. It was strictly for CBP training. Brodsky said the gun range and store are safe and open to the public.